Military cameras are often a source of fascination to collectors. Military Nikons are no exception. 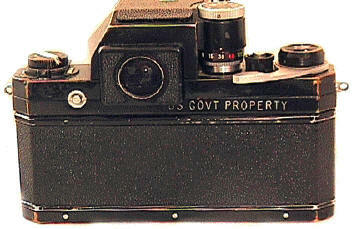 The "US GOVT PROPERTY" seems to be rarer than the well known US Navy Nikon F. I have only seen two of these in years of collecting. Unfortunately, I have no information on what US Government agency (or agencies) used the US GOVT PROPERTY markings. 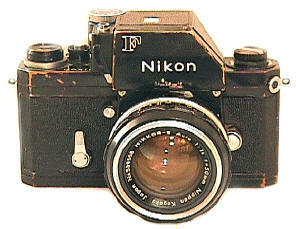 This example is a black Nikon F with FTN Photomic meter.